With its clever features, this Leisure integrated washer dryer – designed by Patricia Urquiola – is a great choice. 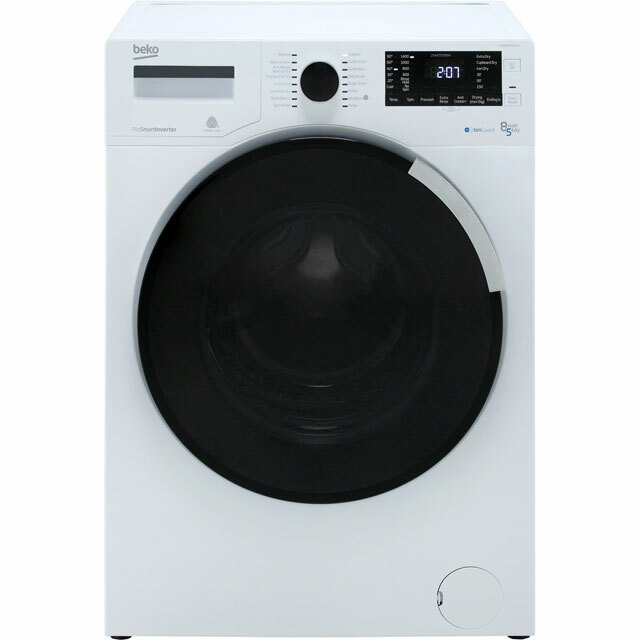 Its 8kg capacity makes it ideal for medium-sized households. 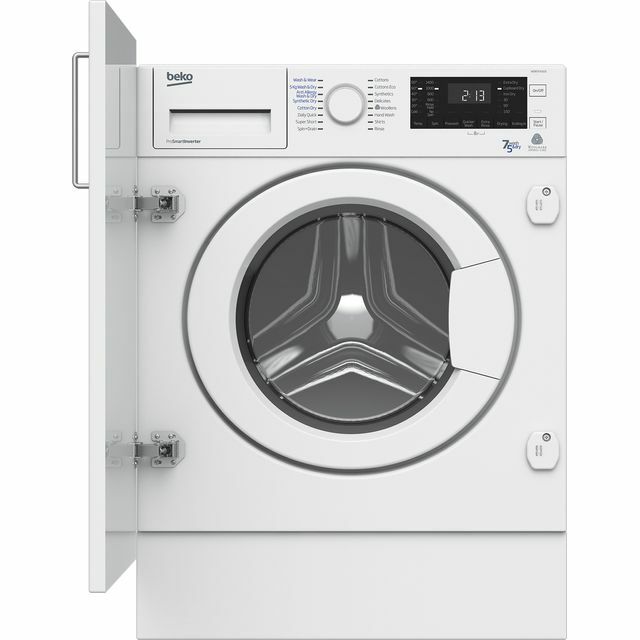 The special Wash&Dry programme makes laundry days really easy too. 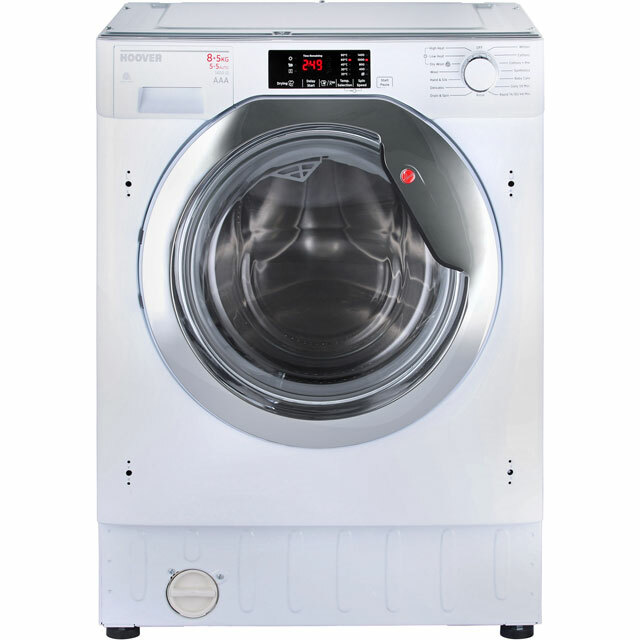 This washes and dries clothes using just one programme, without the hassle of having to select a drying option after the wash has finished. The handy 14 minute quick wash cleans a small load in no time as well. Its inverter motor has fewer moving parts, making it durable and really quiet – great for open plan living. Great looking product, no issues. Fast delivery and really good customer services. I was very impressed. 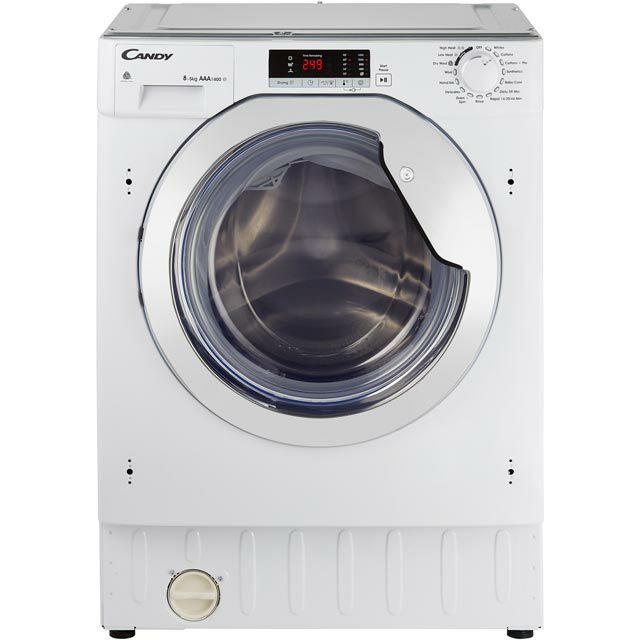 This is my 4th washer dryer & I wish I had not bought this machine as the is by far the worst. Fitting was not easy as fittings for door hinges dit not fit existing door and as units no longer made can't get a new door. We have to take the plinth off our units to clean the filter which has resulted in damaged tiling what a stupid place to put it. Machine is very noisy. 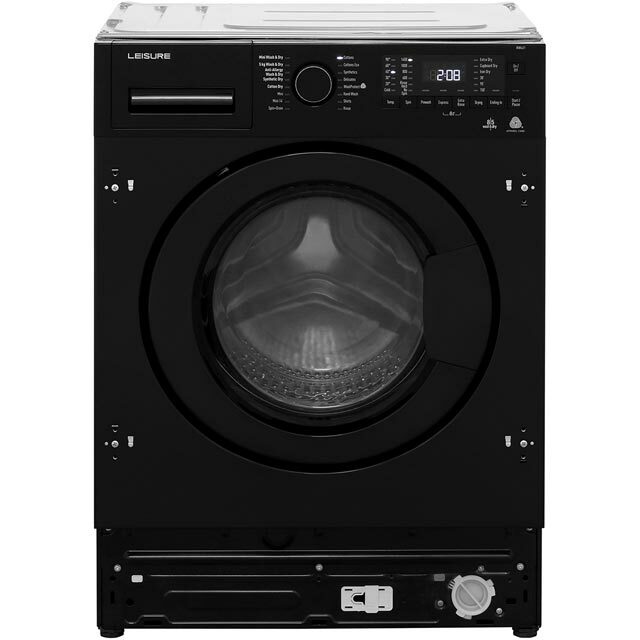 It also spins during tumble drying which is unnecessary and results in more creasing than I have ever had from a washer dryer. Most programs are very long and even if I have nearly dried towels outside they will still take 2 hours to tumble dry. After only 6 month tumble dryer stopped getting hot last week. I will admit the engineer came quicky to carry your repair but I do not feel confident for the future. Great overall: lots of choice of programmes, washes well, quiet. Some of the programmes are very long e.g. 5kg wash and dry is over 4 hours.